I’ve never stepped onto the battlefields of Iraq or Afghanistan. I’ve never seen anyone get shot or heard the explosion of mortar. I have never served in the military. But, what I didn’t know is that we all carry wounds from the battlefield of life. Sometimes we take on a role to fulfill a military mission, take care of others, manage or please. Yet, we can end up hiding wounded parts of ourselves that God values and sees. I didn’t know that emotional trauma has the same effect as physical trauma. Until one night, I was suddenly jolted awake. My throat narrowed and I began choking. My heart pounded like a jackhammer against my chest. I was having panic attacks. You’d think a woman my age—loved by her soul-mate husband, a mom of two, a high-tech professional who once served as a missionary—would know better than to spiral into a place of uncontrollable anxiety. I walked around in a fog, debilitated by insomnia. No one knew because I was highly functioning. That’s how I coped with stress. I survived by being strong. Pushing through whatever gets me down. Taking care of everything and everybody. Except me. When I found myself in a therapist’s office, I was shocked to discover: I have Post Traumatic Stress Disorder—PTSD. From childhood trauma. When my mother forced me to cut up pictures of my dad the day he packed his bags to leave us. The countless times she abandoned me in the basement, “You’re lucky I don’t throw you away to the orphanage!” That night I felt my uncle touching me under the sheets where he shouldn’t. I used my faith as an eraser to the past—to hide my shame and anger—rather than share my story and let God heal me. A person, an event, a stress, or a change can unravel emotional trauma that apparently can be frozen in time. This happened to me. Writing my book Finding Spiritual Whitespace reignited painful childhood memories. I began reliving all the feelings attached to emotional trauma. Two years later, after recovering from panic attacks doing PTSD therapy and publishing my book, CH(CPT) Robert Sterling invited me to lead a Spiritual Whitespace retreat for the military officers and spouses serving in Kentucky’s Fort Campbell Warrior Transition Battalion. These officers succeeded in their service to our country because of their strength and ability to perform under unspeakable pressure—leading their units with excellence, order and control. They’ve been in combat themselves and relive it through the angry or depressed soldiers they care for 24/7, guiding them on recovery’s disorienting journey. They’re responsible for each soldier’s transition back to active duty, or for those irreversibly injured, preparing them to re-enter civilian life. What can a five-foot-Chinese-American woman with zero combat experience say to these officers? I challenged them to go on a mission of the soul. To stop. Rest. To connect deeply to God and each other. As I led everyone through the arc of storytelling, journaling childhood stories, connecting to God through silence on a solo nature walk, prayer, meditation, and visual arts (painting)—people began sharing powerful stories through laughter and tears. Everyone had fun and yet, the stories being painted were deeply personal. We were no longer talking about rest in a book. We were experiencing rest with each other. “We are not very different at all,” a smiling officer and his wife shared with me during a break. I led them to explore the same journey God used to transform my heart, what I call “Finding Spiritual Whitespace.” It’s making time in your heart and schedule to refresh your soul with God. To enjoy activities nurturing rest, customized to your needs. But it requires investigating your story. Just like beautiful art needs blank space to bring out a painting’s beauty, our souls need spiritual whitespace. As leaders, spouses, or parents serving others, we often don’t have time to tend to our souls. We know how to pour ourselves out, but struggle to rest and receive. Is God calling you to this mission of soul rest too? This journey requires vulnerability. To share your story. To be known. To say no. Letting things fall off the plate—and maybe break—so God can heal and create something new. Letting go of burdens we’re never meant to carry. We all carry wounds. But, there comes a time when it takes more faith to be broken with Jesus than to stay strong enough to stop it from happening. Faith calls us to stop hiding and become God’s artwork. Paul tells us, “For we are God’s poeima (‘works of art’), created in Christ Jesus to do good works” (Ephesians 2:10, NIV). What if we prioritized ourselves and our families as God’s artwork rather than projects to manage? The officers and spouses I met did not retreat from their soul-care mission. God moved in amazing ways. Lives changed, marriages strengthened, and we came away renewed in ways we’ll never forget because stories were shared. We leaders often cope with stress by trying to survive our wounding rather than allow God to heal and refresh us to fully live. God doesn’t want us to simply survive. God’s mission field, after all, is your heart and mine. Myth #1: Anxiety, panic attacks, or trauma happens because I’m failing in my faith. The Truth: Healing is God’s invitation to bring your heart home, to deepen your faith. I trusted God to survive my childhood. I was happily married to Eric, with two beautiful boys. Why would panic attacks happen then? My therapist, a world-leading expert in PTSD, told me military members don’t experience panic attacks in the heat of the battle, but only experience trauma after coming home, when finally safe. You haven’t failed. It’s the opposite. You’ve been faithful, and God hasn’t forgotten your wounds. It’s time to let God love you more intimately than ever before. It’s time to heal and rebuild. God makes everything broken beautiful. Myth #2: Prioritizing time to rest is a luxury I don’t have. Caring for my needs is selfish. The Truth: The more I am able to enjoy rest, the more others will see God’s life in me. When my soul is at rest, I am free to please God right where I am. Rest sounds inactive, doesn’t it? I was surprised to find that rest is one of only three ambitions that God explicitly calls out in the Bible. The other two are preaching the gospel and pleasing God (Romans 15:20, 2 Corinthians 5:9). Our marching orders: Quiet rest is equally as important as preaching the gospel and pleasing God. Myth #3: Feeling troubled or worried is wrong. God doesn’t want me to complain. The Truth: Jesus understands and says, “Come to me, weary and heavy-laden, and I will give you rest” (Matthew 11:28, NIV). Jesus does not say “Come to me happy, cheerful and strong. Keep your doubts or troubles far away. Don’t bother me.” Jesus longs to care for us. But, how can he comfort us if we don’t express our fears and worries to him? We often hesitate to tell God our troubles. Yet we can only comfort others with the comfort we first receive ourselves from God (2 Corinthians 1:4)! About Bonnie: Author of “Finding Spiritual Whitespace: Awakening Your Soul to Rest,” Bonnie’s writing has appeared in numerous publications. 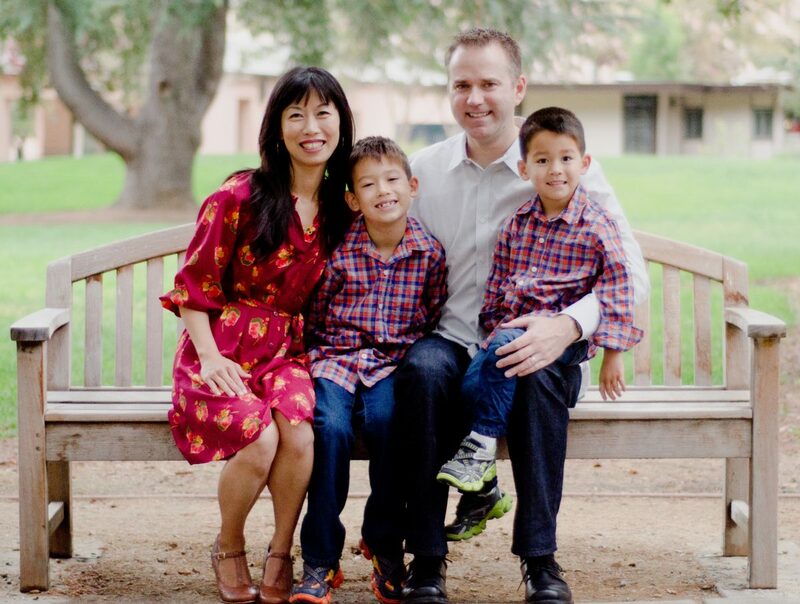 A UCLA graduate, missionary, ministry entrepreneur and Silicon Valley high-tech professional, she lives in California with her husband and two sons.